Gun silencer sales are on fire. 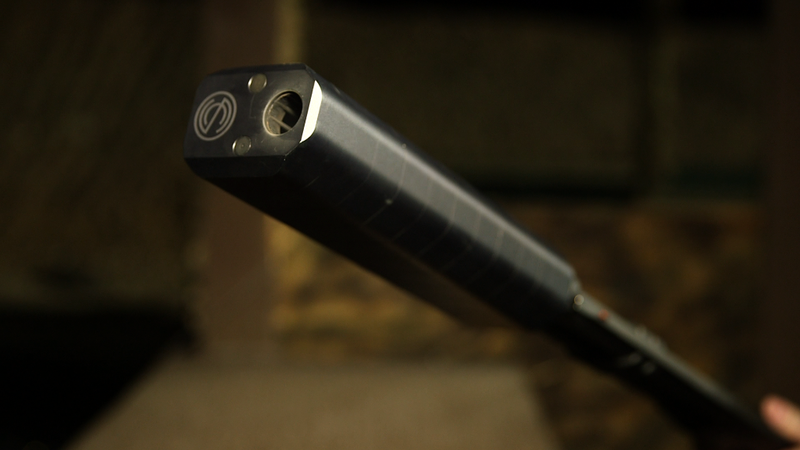 "It's getting to be more mainstream," said Josh Waldron, CEO of SilencerCo, which makes and sells silencers. Waldron said his company has nearly doubled its workforce in the past year to 215 employees and also added more machinery as it tries to work through a backlog of orders. The company, based in West Valley City, Utah, logs in record sales each month, Waldron said. Loosening state restrictions have given the industry a boost. Silencers are now legal in 41 states, compared to 37 four years ago. Also, some gun makers are making it easy to attach them. "More companies (like Smith & Wesson (SWHC)) are coming out with firearms designs with threaded barrels that can screw on the silencers, just in the past couple of years," said Rommel Dionisio, gun industry analyst for Wunderlich Securities. The manufacturers too have been marketing the silencers with slogans like #fightthenoise and "Yes, silencers are legal." Silencers are not cheap. Also known as suppressors, they can cost thousands. The Cyclops from Advanced Armament that can be attached to rifles, is the most expensive suppressor on the market, at $2,500 a pop. The Arrow from Gemtech, a heavy caliber rifle suppressor, costs $1,895. Gemtech also some available for .22-caliber pistols, for $325. Getting approved to buy a silencer also isn't easy. Federal regulations for silencers are stricter than the background checks for most guns. The buyer has to mail or fax a photo and fingerprints to the ATF and pay a $200 tax. Approval often takes nine months. By contrast, buying a gun requires a basic background check where you show a photo ID at the store and electronically submit a form to the FBI. The entire process can be done in about 20 minutes. But manufacturers like SilencerCo are trying to make the process simpler for silencer buyers with a $130 legal service called EasyTrust. Lawyers help cut down the process to about five months by securing approvals quicker. It's proven to be popular -- the company has sold 3,000 of those since April, when it launched the service. Editors Note: An earlier version of this story said that buying a gun requires a background check form to be submitted to the ATF. This version has been corrected to reflect that the form is submitted to the FBI.